Inflammation is commonly associated with rheumatoid arthritis, psoriatic arthritis, and other types of inflammatory arthritis. On the other hand, osteoarthritis (OA) is usually explained as "wear-and-tear" arthritis, meaning that it is related to aging and changes in the cartilage. But is it also tied to inflammation? There has been an evolution of thought about whether or not inflammation is what causes osteoarthritis, so much so that it is now thought to be an inflammatory disease. Immune activation is seen in the joints following the cartilage damage that is the hallmark of osteoarthritis, with inflammation of the joint lining, synovitis then developing. 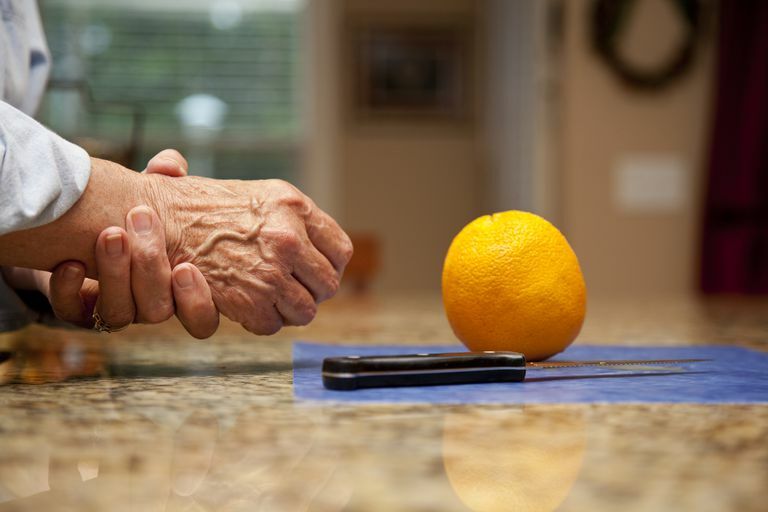 But it will continue to be confusing as it was classified as noninflammatory arthritis, while rheumatoid arthritis and others were classified as inflammatory arthritis. A systematic review published in May 2015 stated, "Human osteoarthritis is a systemic musculoskeletal disorder involving activation of innate and adaptive immune systems accompanied by inflammation exemplified by the elevated production of proinflammatory cytokines, which play a significant role in the progression of the disease." They go on to recommend more research into drugs to inhibit these cytokines to break the cycle of damage in osteoarthritis. Osteoarthritis, also known as degenerative joint disease, is caused by the breakdown of articular cartilage—the type of cartilage that covers the ends of bones in a joint. Over time, most older adults will develop some form of painful osteoarthritis in a joint or in more than one joint, such as the knees, hips, spine, or hand. While pain is common in OA, obvious inflammation — redness and swelling — is usually considered a primary symptom with other types of arthritis. However, as osteoarthritis progresses, inflammation can occur around an affected joint. It was thought that the inflammation is caused by cartilage fragments that break off and irritate the synovium (the smooth lining of a joint). However, MRIs taken during the early stages of osteoarthritis sometimes detect synovitis inflammation even though the joint cartilage still appears normal. This indicates that other joint structures also may be involved in triggering inflammation. Before synovitis is evident or joint degeneration is seen, the levels of markers of inflammation increase in the blood and the joint fluid. These inflammatory cytokines include C-reactive protein (CRP) and interleukin-6 in synovial fluid. The case is strong that there is inflammation occurring earlier in osteoarthritis and this may be the cause of the progression of symptoms. There have been recent studies of inflammation in spinal arthritis that pointed to the entheses (the sites where ligaments or tendons attach to bone) as a potential location of joint inflammation in OA. It looks like the question is similar to which came first, the chicken or the egg? Is mechanical damage due to overuse or a trauma what leads to low-grade chronic inflammation, causing the loss of cartilage that results in a further loss, more inflammation, synovitis, and degeneration? More research is looking into these questions. The answers may lead to better drugs that will break the cycle of inflammation and stop the progression of damage to the joint. "Histopathologic Changes at 'Synovio-Entheseal Complexes' Suggesting a Novel Mechanism for Synovitis in Osteoarthritis and Spondylarthritis". Michael Benjamin and Dennis McGonagle. Arthritis & Rheumatism. November 2007. Malemud, CJ. "Biologic basis of osteoarthritis: state of the evidence." Curr Opin Rheumatol. 2015 May;27(3):289-94. doi: 10.1097/BOR.0000000000000162.